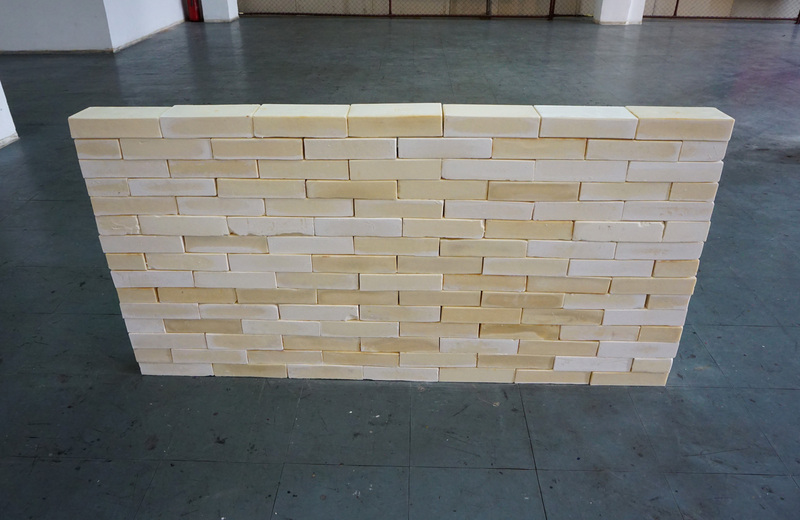 Building components of the CLEAN WALL are bricks (1:1 copies of the real brick sized 25 x 12 x 6 cm) made of soap. 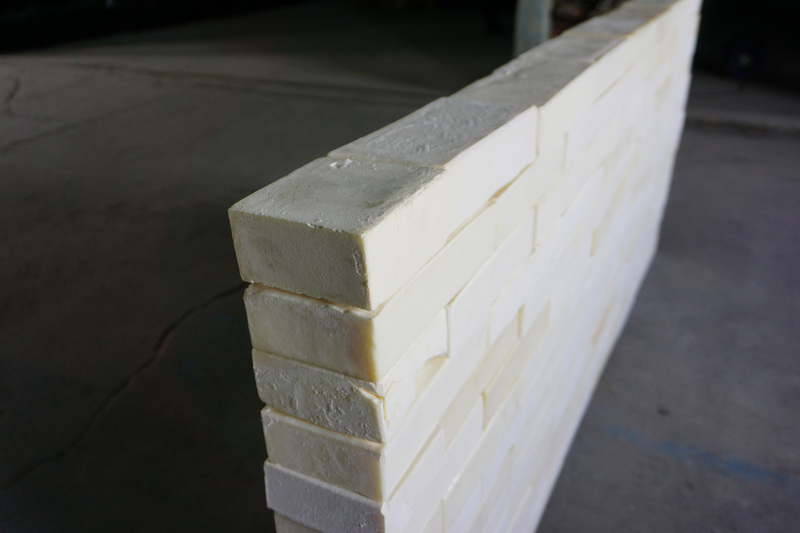 Thick, compact soap matter made from pork fat and caustic soda the same way our grandmothers used to make it, was a new inspirational material for Nikolic for creating a simple architecture element such as wall. 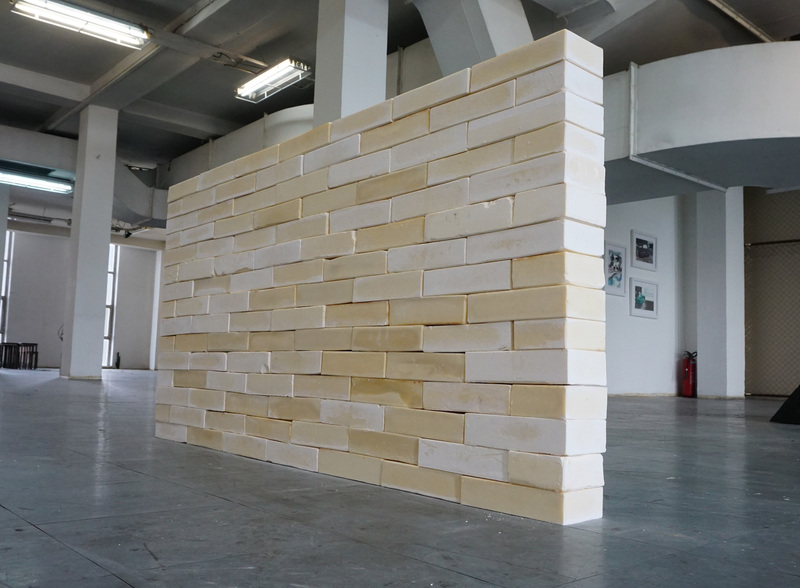 During the creative process the author had in mind the heterogeneous and often conflicting meanings found in underlying notion of wall, such as – division, obstacle, enclosure, but also protection, security, privacy. 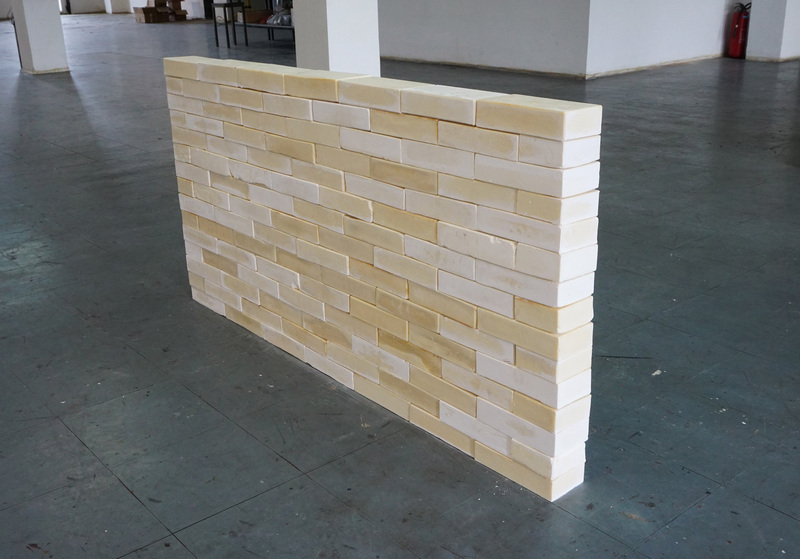 Bricks in this wall are not connected, so the wall can easily be disassembled or even destroyed, which gives it a fragile and unstable character that is in the opposition with the very notion of a wall. Soaps can also be taken away and used for their primary purpose – washing. As if Nikolic was wondering how could we build a wall while remaining pure before the outer world and ourselves.